An anti-gay terrorist plot was thwarted by police on Tuesday when two suspects were arrested by police. Police arrested two men, ages 21 and 22, in the east suburbs of Paris in the Seine-et-Marne department. While many details of the plot have not been disclosed to the media, the AFP and L’Express cite unnamed sources who say that the plot was to kill gay people. “Their plans were not very well defined at this point, but elements lead us to believe that they intended to attack gay people,” a source said. “Two friends” came to the attention of General Director of Internal Security (DGSI) several weeks ago because of their activity on social media. 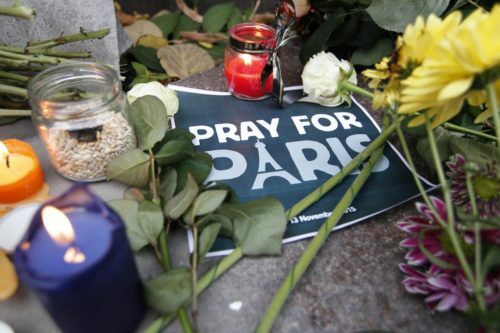 On June 6, information about them was turned over to Paris’s anti-terrorism unit. Three days later, they were arrested. A search of their homes turned up “some knives, an igniting device, and propaganda from a jihadist group,” the DGSI said in a statement. They are being held on charges of association with criminal terrorists. 240 people have died in France in the past three years in terrorist attacks.